Hosting an event at home can be exciting, but it can also be stressful. From cleaning the house, to coordinating logistics, and — very importantly — cooking the food, a party can be more of a burden than a fun time by the time it is over. So why not let someone else do the heavy lifting? 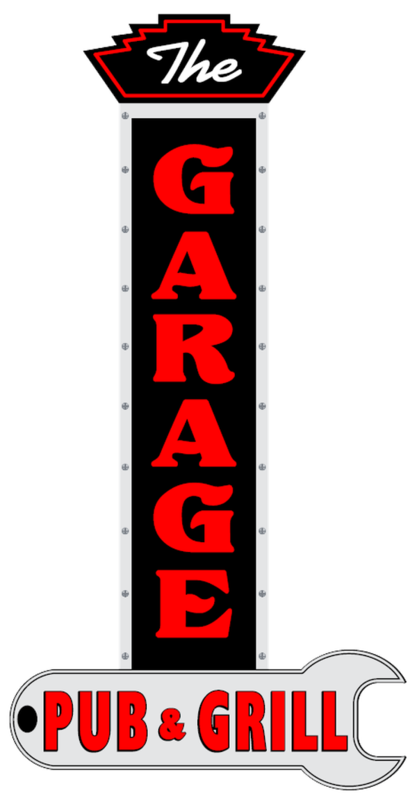 The Garage Pub and Grill has an event room that allows you to enjoy up to 30 guests in a fun, stress-free setting. Whether you’re celebrating a birthday, retirement, or holiday, or want to host a business outing, training session, or cocktail reception, we’ll take care of the cooking and set-up for you. We’ve hosted just about every kind of event, so we’ll make sure that all the boxes are ticked for your big day. Regardless of what you have in mind, we’ll work with you to make sure that everything goes off without a hitch so that you can sit back socialize, worry-free. Sound like a plan? Give us a call at 812-418-8918 for details, or to check availability for your preferred date. We look forward to hosting you!